The Selsey inshore lifeboat was launched in the early hours of yesterday morning to investigate lights in the sea off Bognor. 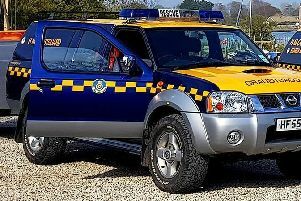 A spokesman confirmed the D class inshore lifeboat (ILB) Betty and Thomas Moore was launched at 1257am at the request of the UK Coastguard after a fisherman, angling on the beach, reported seeing lights in the water to the west of Bognor Pier. wearing a wetsuit and said he and one other person were free diving (diving without cylinders). He said his buddy had come ashore further west and they were both ok.
thought were Coastguards on the beach searching. They were very apologetic for the lifeboat being launched." The lifeboat was released by the Coastguards and returned to station at 1.45am, the crew was made up of Helmsman Dave Lamdin, Colin Pullenger and Kristina Dolan.